Is the Lost City of Atlantis found on the Greek Island of Santorini? Visit by private yacht charter, head to Akrotiri, an extensive archeological site and decide for yourself. 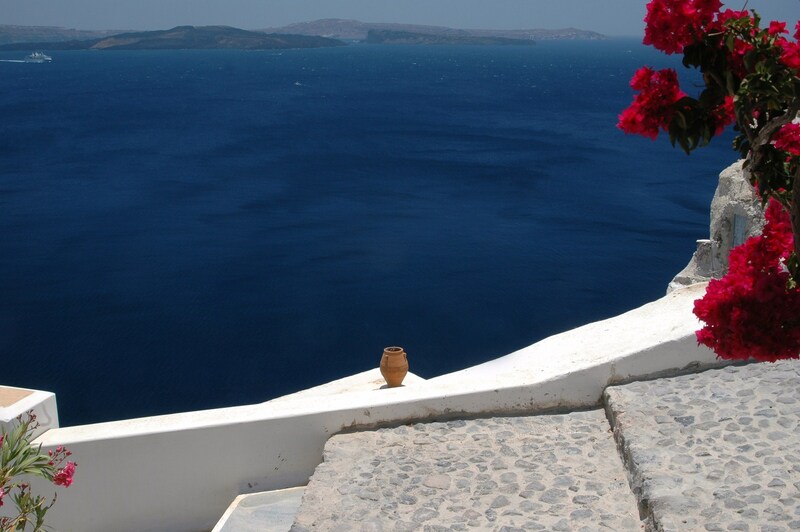 Around 1624 BC, the volcano in the center of the island of Santorini, Greece blew its top, literally. This once round shaped island became a crescent shape with a deep hole in the center, way below sea level. With this final huge eruption, an ancient city on the island was completely buried and lost in a sea of ash. No lives were lost, as previous smaller eruptions had warned the citizens who had abandoned the city and fled the island. But who were these intrepid people? Of what civilization were they part? Many think that that this ancient lost city could be The Lost City of Atlantis. Akrotiri is the modern name of the excavation of this city. The ancient name is still lost, but the civilization was believed to have links to the Minoan civilization due to inscriptions found in Linear A. As the city was buried in ash in one eruption, all is extremely well preserved down to food items found in storage jars. Excavations were started when the site was discovered in 1967, and remnants of an advanced civilization are being found. This civilization lived in three story apartment buildings, with an advanced drainage system. The many wall murals, furniture and other items found suggest a very wealthy population that lived in considerable luxury. This ancient city is believed to have been an important trading port city in the Aegean as various items found in the excavation are believed to have been imported from Cyprus, Syria, the Greek mainland, and even as far away as Egypt. It was Plato that wrote of the legend of Atlantis, and clues in his story lead many to believe that the lost ancient sophisticated, wealthy and beautiful city of Atlantis that suddenly disappeared is really the ancient city being uncovered today on the island of Santorini by the excavations at Akrotiri. 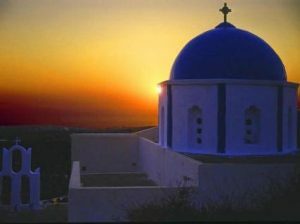 However Plato lived over 1000 years after the volcanic eruptions on Santorini, so much is speculation and legend. 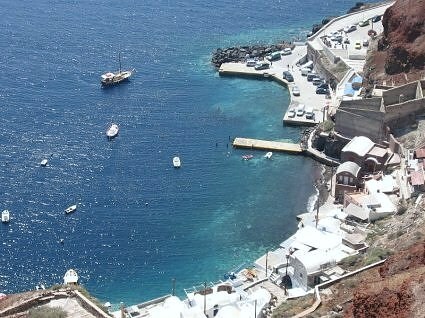 But do visit Santorini and decide for yourself. 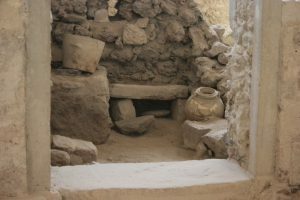 Be sure to visit the museum in the town of Thira, with many artifacts from the excavations, photos and information on what is being found and what is being conjectured. And while you are there, enjoy the stunning beauty of the caldera inner crescent, created so many centuries ago by this volcanic force of nature. only 5% of the site in Akrotiri has been excavated so who knows, maybe future excavations with confirm whether this large, once wealthy trading city was once The Lost City of Atlantis.